In the past starting an ecommerce business was highly capital intensive. Business owners spent heavily on hiring website programmers to design websites for them. But the tides have turned long since then. Now you can start selling online with much lower budget than some years back. Now a myriad of affordable options have come up online, making it easy for anybody to start an e-commerce business. Maybe you have an idea that you think will sell well among web users and you want to do so, only that you don’t have that much in terms of a budget. Is your product suitable to be sold directly on your website? Are you planning a product catalogue that will allow customers to browse through and select something to buy? Or are you looking for a website that works as a marketing tool so that people will buy your product? Answering these questions will go a long way in deciding what kind of website and how much money you would really have to put up. Manufacturers will probably showcase their products on their website and then direct users to the ecommerce websites of their authorised retailers to buy the product. Before deploying an ecommerce website for selling your products online, it may be a good idea to test the appeal. You can do this by signing up to sell via a marketplace offered by an already established online store or ecommerce website. If you have a physical product to sell rather than a service, start selling it on EBay or Amazon. This can be done at very low cost, and you will be able to know if your target audience is interested in the product. You can also build a target audience for your product this way. Of course, if you are in Nigeria, the country’s top online stores (Jumia and Konga) offer marketplaces where businesses can sell their products. Kaymu is also another option. You can also use these marketplaces to practice your preparedness in fulfilling orders made by your customers. There are several affordable options available on the internet to setup your online store. They have many features including customization, mobile support, payment portal and technical support for your website. Platforms like Shopify, BigCommerce and Magento are some of the most popular ones out there. If you can afford them, you should go for these platforms as they are more or less turn key with most of the heavy lifting managed by the service provider. Otherwise, you can also use the WordPress based e-commerce platform – WooCommerce. 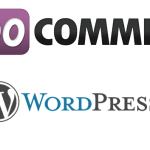 A hosted WordPress website comes for a cheap price, and WooCommerce is just another plugin that comes for free. Though WooCommerce plugin is free, you may however need to buy a couple of extensions depending on the needs of your online store. Post your products online, customize your website through several free themes and designs provided by WordPress and sell your products through a secure payment portal using the plugin. This is the most affordable e-commerce option you can start with. Once your business is big enough that you can afford more advanced platforms, go for them. Your products are not just going to sell themselves after you have created your online store. You need to market your business to your target audience so that they find your website and hopefully find something worth buying. If you have opted for WordPress and WooCommerce, there are SEO plugins to get your website a higher search ranking. 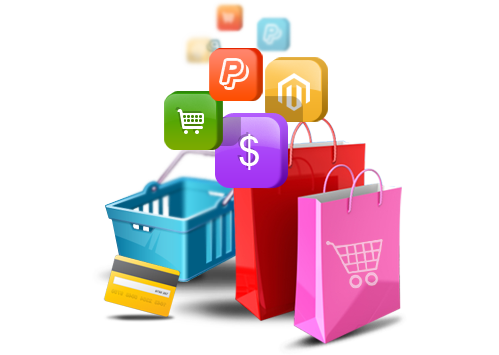 Advanced e-commerce platforms like BigCommerce and Volusion also comes with SEO integrated. Make use of the right keywords when naming and describing products as this will probably make your website shows up higher in search rankings, resulting in more visitors to your online store. You can also use pay-per-click search advertising (Google AdWords) to increase the visibility of your online store and use tools like Facebook marketing to promote your website to your target audience and attract more people to your e-commerce website. 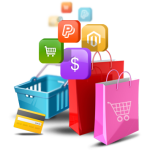 If you follow all these steps, you can setup your online shopping portal quickly and on a small budget.